He convinced his followers to build a wall. He was losing control. He created his unifying event. He nearly broke the world. 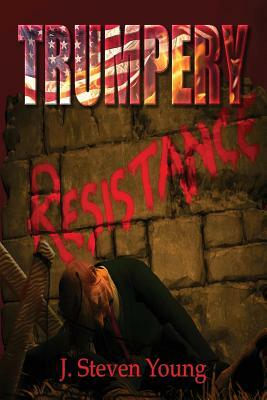 Who will stop Trumpery? Lord Dampnut has lost the last of his sanity but not before walling off half the country and causing the destruction of the rest. In this New Republic, the press is fake, free speech has gone the way of minorities, immigrants, and rationale. It is a new world order ruled by deception and an Oligarchy lurking in the shadows. The Old Union that survives on the west coast seems a utopia by the standards set in the New Republic, but not all is as it seems. What kind of world remains when the choices are only two far extremes? Those who remained silent got what they asked for. Those who survive, are learning resistance to trumpery.